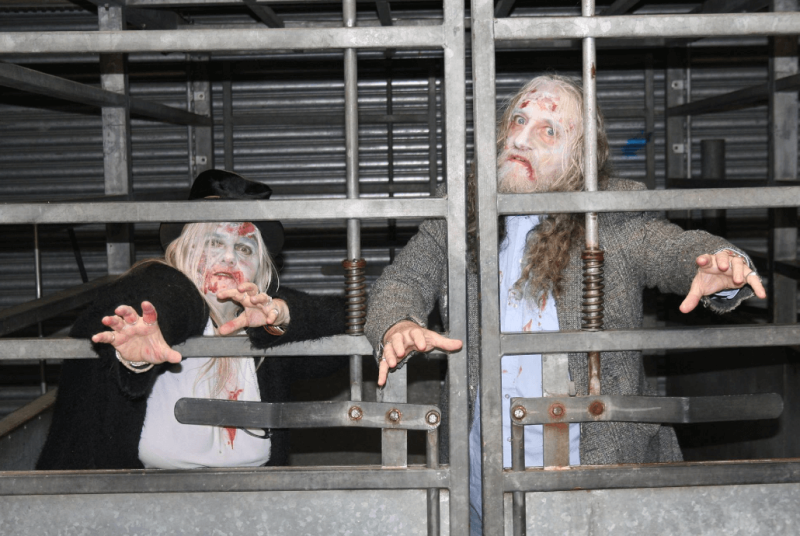 Got children aged 9 – 14, why not ship them off to Zombie School this Halloween? Thainstone Events has organised a unique children’s workshops – in conjunction with Quids In Theatre Company – for young people to get creative and try something new this Halloween. The zombie school recruits will learn how to transform themselves into undead creatures in workshops on Saturday 24 October, including full-on costumes and make-up, before learning dance routines to star in their very-own flash mob and film the next day. Quids In Theatre Company will lead the troupe of zombies to learn the choreography and perform for the cameras and on film. Family and friends will have the chance to view the action on the big screen. We are always looking for new and innovative activities to add to our programme of community events here at Thainstone. We are delighted to team up with Quids In Theatre Company to offer something a little bit different for local children this year. Our zombie events are very popular for adults and this is a unique chance for children to try out their zombie character ahead of Halloween – through costume, make-up and their performance. Young people are fascinated by horror and this is an opportunity for them to be at the centre of a horror-filled production. All children, dead and undead must be collected after Zombie School finishes.